If you're a Windows Phone user, no longer do you have to miss the big game because you're running an errand, shopping, or just merely out of the house. WatchESPN is now available for the platform, and once you authenticate that you're a subscriber to certain satellite and cable television providers, you can take the leading cable sports network wherever you go. With WatchESPN, you no longer have to fear being asked to pick up some milk at the market during an MLB or NBA game. In addition, major Grand Slam Tennis and Golf tournaments are covered, along with college football and basketball. Not only does the app allow you to view sporting events, you can also stay connected to your favorite studio shows on ESPN, ESPN2, ESPN3, ESPNU, SEC Network, SEC Network Plus, ESPNews ESPN Deportes and the Longhorn Network. With WatchESPN, you will find yourself saying "Right away, dear" instead of "Can't it wait for later, dear?" If you've watched with envy as your iOS and Android totin' friends have been able to use WatchESPN to stay connected to major sporting events while out and about, you no longer have a reason to be jealous. 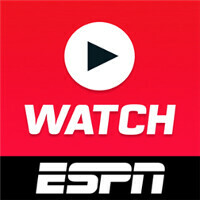 WatchESPN is now available as a free download from the Windows Phone Store. More and more apps coming. The truth is, thx bro. You got some nerve, its a WP article, that's real bold for a hater to critercize WP users for commenting on WP article, if you hate something stay away from it. Quit trolling, your hatred is a repetitive as the sun rising everyday. You still scared at WP moron? Why make the effort to post on something you hate? This just proves how stupid android users have become! lol, when Android and iOS get apps, microloser gets the apps two years later when it's no longer "cool" and "fun" and at the same time, the first two are getting even more apps. I wonder how many of you guys ran to install the old-no-one-plays-it-anymore version of candy crush? lol, my name means much more than whatever nokia "loseeeer" device you're holding, and uhm when samsung will no longer "rock" I'll get something else that's awesome at the time, not stick to a brick nokia running FlinstoneOS. get a life. Finally a big one I wanted makes its debut. If I go back to Windows Phone in 2015 I'm glad to know that WatchESPN will be available. Nice for the 3 persons owning a windows phone. You need to update your joke collection, it evidently haven't been in a while. He is not on fire, I see his silliness knows no limits, that's all. The app story again LOL! That's all you idiots have! At least I know my WP does not lag and is malware clean! Go clean you droids and stop it from lagging. Shows how much you know...ignorance at it's best. Is it me or everytime a popular IOS/Android app comes out for WOS there's an article about it. That's how far behind windows is. Yet despite that many still rather their WP over the competition, Mr anti choice. I'm not anti choice. I use what I like and I expect you to do the same. My comment is referencing to the big deal that is made when an app I had for years is released for windows, making the os inferior. In my opinon. Um I don't see anyone going crazy for shogun skull whatever it's called. Apparently phonearena made a big deal about the espn app that it got an article. AND espn is only one app. There are thousands of apps you wish you had that you don't . Who the F##k was going crazy about ESPN here? Don't blame the OS for that rather than the PA writers which is btw pro android now a days! it is a good thing tbh. I have a lumia 830 and a nexus 7 2013 and guess what? most of the apps I download on my nexus is because of them being released first on my lumia and written about. Most of the new apps on android gets swamped through the sea of useless apps on google play. Also, google play primitive view is not helping where it shows the popular apps that everybody knows like candy crush , youtube (seriously !!!! ), Netflix ....etc While on WP store, there is always a shuffle so it shows newly released and newly updated apps. A nice addition to WP phone.